1 Corinthians 13 :5 “Love is not self-seeking.” So often when we get angry with others, it’s because we are looking after number one. If someone cuts in on us in their car and there has been no accident, what are we so upset about? That they have overtaken us, that they are in front of us. The same thing happens when someone gets served before us that shouldn’t have been in a shop, all our indignation rises up. But if we are not self seeking, if we seek the interests of others as much as we seek our own, we would not get angry. I remember an illustration from a long time ago, so I will use it today. If a bowl of fruit is passed round and some of the fruit is perfect and some of it is bruised. The first Christian that is passed the bowl of fruit should take a damaged piece so that others may have the perfect fruit. The opposite of being self seeking is being generous. So be generous with your time, if someone asks you for a lift when you would rather be reading a book, say yes to them. Invite people round for meals. You don’t have to do a fancy meal, most people are coming round for the company anyway. The bible says that God puts single people in families, but He requires you families to ask the single people round. So go on be generous with your food and your time. Invite someone to join you and your family next time you go to the cinema or out for a walk. It is hard being single, spending every weekend on your own. With a little thought and minimum effort you can make a huge difference. If you tythe, God allows you to keep 90% of your money so make sure you remember that it really all belongs to Him, so be generous with it. G'day and welcome to Partakers ThinkSpot on Monday, 25th of June 2012. Play the audio and see how you are challenged to live your faith out this week! The most famous verse in the Bible is probably this one. I wonder if you have heard or read it. “For God so loved the world that he gave his one and only Son, that whoever believes in him shall not perish but have eternal life.” Isn’t that simply amazing! Love! God is love! Every exhibition of love, even by those who deny His existence, is an example of God’s love. God’s love is also seen in all tenses – past, present and future. Past - God has loved you. Present - God is loving you. Future - God will love you! Amazing! WOW! Moreover, God's love in the Bible is seen as unfailing, everlasting, intimate, sacrificial, unbreakable, all-conquering, personal, great, immeasurable and all-knowing. This is seen supremely in the Cross of Jesus Christ. When Jesus died for the sins of the world on the cross, it was supreme love overcoming all that is not love. Even when great acts of evil are committed in the world, love is all around. Love continues despite such acts. How are we to respond to this love of God? Our motivation as Christians is to love and to be love. This is a love, which is sacrificial and self-less. It is tough love which is of service to other people. Loving and serving others, sacrificially, are the primary ways of showing you love God! It is easiest to love your friends. But Jesus commanded that his followers also love their enemies (Matthew 5:43-45)! Now that is very radical and can be difficult! We see constantly in the media and elsewhere, that regards our enemies, we are to be confrontational or at best to just ignore them! How is it possible to love our enemies? It is only with the help of God and His abundant grace towards us! We depend on the Holy Spirit who lives inside all Christians to empower and guide! To only love those who love you is what is expected by people everywhere as normal behaviour. But as a Christian, if you are one, you are to do more! You are to be seen to love more than other people. You don't have to like others as friends, but you do have to love them as fellow human beings! Go into this week, being prepared to show your love of Jesus Christ, remaining close to Him and serving other people generously with abundant grace-filled love! By loving and serving others, you become God's arms and legs in a physical world. Give people a smile! If you are happy, let your face show it to others! Help that work colleague! Help that unemployed person to find work. One of the greatest limitations you face in loving and serving other people is a severe lack of imagination! Ask God to expand your imagination to love and serve; as well as asking for the opportunities to do them. Loving and serving are hallmarks of an authentic Christian life. Love continues even amidst chaos and turmoil all around. Go and be part of the continuing of love. Father, we thank you, that you are love! We thank you Jesus, that you demonstrated great love by going to the cross and showing your love for the world by dying on the cross! Holy Spirit enflame our imagination and cause us to desire to show love to others – even others who we think don’t deserve it! As we go into this week, O God, remind us to love you wholeheartedly and to love others sacrificially. For we ask this, O Father of Love, in the name of the Son of Love, Jesus Christ and in the power of the Holy Spirit of Love. G'day and welcome to Partakers ThinkSpot on Monday, the 18th of June 2012. Play the audio and see how Jim and Joy are challenging you to live your faith out this week! Psalm 103 reads “Bless the Lord O my soul and forget not all his blessings (benefits) towards you. If you continue in that psalm and quietly give it some thought, you will find many times God has richly blessed you as you have waited upon Him and trusted Him. To make sure you are constantly doing this without having to think about it why not share your blessings with others you meet during the course of the day? I find that is a refreshing way in serving our Lord is giving praise and glory to Him by passing your blessings on. Try it and see I am sure you will find it to be true and you will receive a measure of joy in your heart as well. In psalm 23 we read of the believer’s daily walk with the Lord and even though we walk through the vale of death we need fear no evil. Why? The Lord is with us giving us reassurances He will never leave us. Note the joy in David the psalmist’s voice as he perhaps shout “My cup runs over” Oh the joy there is to be found in knowing Jesus. Thank you for the wonder of knowing You as our Heavenly Father and the One who supplies our every need on every occasion we require help and surprises us with unexpected blessings which delight us. Forgive us if we ever take You for granted or forget to thank you for your regular daily blessings. Help us to remember just how dependant we are on You. We sometimes find ourselves asking even for the seeming impossible and although we may have to be patient and wait You have never let us down. You have amazing resources Lord and we can never out ask your provision. Thank you for that knowledge and help us to be wise in our asking and swift in our thanksgiving. We love You for loving us so much and making sure our cup is never empty. 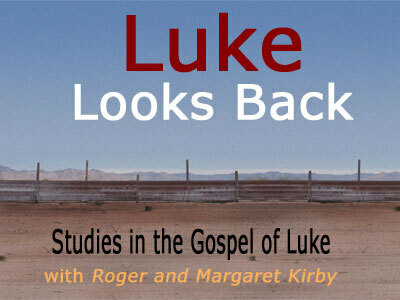 The whole of chapters 7 and 8 make up one section of Luke’s narrative so we will read them together though we will only look at chapter 7 in detail in this study. Not least because of the striking similarities and differences in the people involved between the first and last passages 7:1–17 and 8:40–56. Question 1.What is the second passage about? How does it differ from the first passage? The second passage is about healing of a woman and the bringing back to life of a man’s daughter. Remember: the first was about the healing of a man and the bringing back to life of a woman’s son. Luke has obviously put these particular stories at the beginning and end of this section very deliberately. He has carefully constructed the whole section. The important question is why has he done this–apart from the fact that this was the way that they wrote things in the Roman world of those days? When we look at the two chapters together we will see that he has built them so that the stories of the second part reflect the first part. The first part has two healings, 7:1–17; an account of the doubts of John the Baptist. 7:18–35 and then tells us about contrasting attitudes to Jesus, 7:36–50. The second part reverses that order telling us about contrasting attitudes to Jesus, 8:19–33, 38, 39; then the doubts and rejection by the Gerasenes, 8:34–37 and finally the two healings we have already looked at in 8:40–56. In the middle is a parable about the man who sowed some seed, getting different reactions from the different types of soil. We can think of this as a reflection because the second half is the mirror image of the first half. There are many of these reflections in the Bible. One very obvious example is in Amos 5: 4b–6a, although unlike most of the Biblical reflections that one does not have an important middle. In most of them the middle is important to explain why the second half is different from the first. In our example here in Luke the middle, the parable, is clearly very important, though it does not alter the second part significantly. Luke wants us to see that the whole section is about faith and faithfulness. One Greek word has both meanings whereas we split the two apart in English. By ‘faith’ we mean mainly mental agreement with the teachings of a religion–‘faith’ goes on in our heads. By ‘faithfulness’ we mean living in a way that follows the teachings of that religion–‘faithfulness’ goes on mainly in our actions. We will look at that more in the next study. Not for the last time Luke has a story about a centurion. He wants Theophilus (and us) to understand that Christian faith was acceptable to these significant people in the Roman world. Question 2.We are told many good things about the centurion (7:2–5). We are told nothing about the widow of Nain. What can we learn from that? There will have been plenty of people around with a vague faith in God who kept the religious laws, but this Gentile Centurion recognized that God was at work in Jesus and was prepared to act accordingly by trusting Jesus. Are we prepared to turn a vague faith into action when God works? Just possibly Luke knew the centurion because he joined the early church, but the widow of Nain did not, so he did not know her. Question 3. John expected the Messiah to act like his idea of what a Messiah would do. Jesus quotes Isaiah 35: 5,6 and 61: 1,2 to tell him he is wrong. In what ways was John wrong? What did they expect the Messiah to do? What was Jesus doing that was unexpected? John evidently shared the general expectation of what the Messiah would do. John will have understood himself to be the messenger of Malachi 3: 1 –3; 4: 1–3 and therefore that all that those verses suggested would happen. Particularly if you live in a hostile society it is important, and encouraging, to remember how hostile the society in which Jesus and the early church lived and worked was. Question 4.What does Jesus mean when he talks about debts (7:39–43)? Do we have big or small debts to be cancelled? (We probably think we have only small debts to pay (v 41,42) but big or small counts the same!) Do we show as much love as we should for Jesus who cancelled our debts? Jesus was talking about the way in which those who followed him and were members of the people of God needed to remember that they were in debt to God. We, living later, know that we rely on Jesus dying for us to cancel the things in our lives, which stop us, being accepted by God. Since ‘all have sinned’ it does not matter whether our sins are big or small they still stop us being accepted by the Lord. Only in Christ can we have acceptance by God. Question 5. The Pharisee in the final episode of this chapter (v 36–50) is clearly much more concerned with things and ideas. The woman is only concerned with people. What can we learn from these two stories? It is important to remember that some people are very concerned with people but some (a smaller number), find their interest is taken more by ideas and things than people. Both sorts of people are necessary in a healthy church and a healthy society. Question 6. In what ways has this chapter stressed faithfulness? Nearly all this chapter (and the next) is about people acting out their faith as a result of what they saw Jesus do. They were in a very positive way following him, not just thinking about him. That is faithfulness. The message to us must be that we have to follow Jesus, not just go to church on Sunday. health issues, and financial pressures. Love is not rude. I really struggle to think of times when I’m rude to people or am even tempted to be so. Then it dawned on me , even if I am rude inside my head it is unloving. And I recalled a time sitting outside a cafe in Trowbridge last summer, sitting there people watching. I noticed a couple dressed not in the same way I would dress, and to my shame after watching them for a bit, I wrote them off as losers. They were sat outside a cafe opposite. Then a severely disabled person walked by and stopped to speak to them, the person stopped and chatted for ages and I felt ashamed, I knew that I had judged these people on their outside appearance and not on what was in their hearts. They were clearly very compassionate and kind and Jesus would have loved how they were spending their time. So check out your thought life – how many times do you judge people in an unloving way and think things which might be considered rude. Our thought lives are so important, it is easy to dismiss them because no one else can see what we are thinking and a thought can come and go in a flash. But thoughts reveal what our heart is like. Jesus said “Do not worry.” Worry is something that happens in our thought life and robs us of our peace, it shows a lack of trust in a good God to work everything for the good of those of us who love HIM. Unforgiveness, bitterness and resentment tend to occur in our thoughts and certainly it is in our thoughts where they take hold and take root. I don’t need to tell you what damage it does to replay a hurt or offence over and over in our minds. 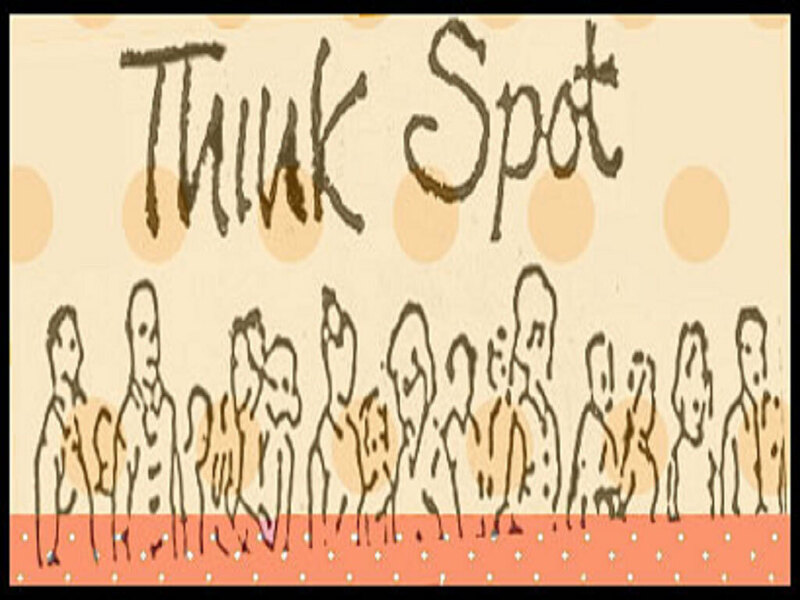 G'day and welcome to Partakers ThinkSpot on Monday, the 11th of June 2012. Play the audio and see how Jim and Joy are challenging you to live your faith out this week! This is a shorter version of Matthew’s sermon but it still contains no less than 22 separate points! We will look at them in groups. It is easy to miss some of the practical implications of these statements. They mean, for instance, that a Christian will never refuse to speak to someone, whatever they may have said or done. And it will affect our behaviour towards someone who wants the same job as we do. Question 1: What effect will it have on us if we force ourselves to speak kindly in those sorts of situation? Where else can you think of where obeying Jesus might have some positive results in our everyday and family life? Even if we have to force ourselves to speak well in that sort of situation doing so will have a good effect on our underlying attitudes towards that person. If we fall out with someone at work we must be careful to greet them in exactly our usual cheerful way the next morning. They will find it very hard to respond in anything other than the same way. It is hard to obey Jesus when the inevitable problems of family life occur. Are you the person who is always the first to try and mend a damaged relationship? Is it really possible to act like this in the real world? What happens if someone takes my bicycle? Do I give them my motorbike? Perhaps Jesus is making one of his outrageously impossible statements (camels through needles; plucking out eyes etc.) so that we remember better the principle behind what he said. Total obedience to what Jesus taught here would rapidly lead to us having no money at all! Question 2: What should we do in the practical things of every day to put the principle behind these statements into practice? I think the only possible answer to this is to say we have to be careful not to put ourselves first in what we do but put others in front of ourselves. It is, of course, a great deal easier to say that than to actually do it in the real world we live in. It is also, of course, a great deal easier to hear it said and mentally agree than to go out and do it! Probably ‘lending’ in that culture, as in many, was a nice way of talking about giving somebody something. Question 3: Should we ever lend like that without expectation of a return? Shouldn’t we call it what it is from the beginning if that is what we intend, rather than using such double talk? Not all the things our culture wants us to do are necessarily what we should do as followers of Jesus. In some cultures it is more important to say something that pleases the person we are talking to than to tell the truth. Jesus said he was “the way, the truth, and the life”. That means we must be in all things as truthful as we can possibly be even if that is against our culture and traditions. We will probably see that we will have all sorts of problems in living up to what Jesus said. It is so difficult to obey what he said and still live life in the real world. Perhaps it is impossible. But Jesus was probably doing this deliberately to make us see that we can never in ourselves be good enough to appear before the Lord God. We can only rely on his mercy and goodness consequent on the self-sacrifice of Jesus on the Cross for our acceptance. 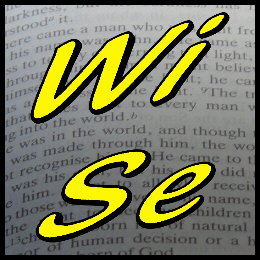 Question 4: Why does Jesus call us sons, or children, in this context (v36b)? This is to emphasize that we are in a personal relationship with the Father God. And that again can only be through the acceptance that Jesus obtained for us by his death on the Cross. When we call God our Father that means we accept all our fellow Christians as our brothers and sisters. The first sentence in v37 is sometimes used to suggest we should never judge anything or anybody at all. But, of course, we do! If we didn’t, how could we ever correct anyone and life in and out of the church would be impossibly difficult. Question 5: How should we understand v37 in such a way as to be realistic and yet follow Jesus properly? Matthew adds ‘in the same way you judge others, you will be judged, and with the measure you use, it will be measured to you.’ (Matt 7: 2). If we are prepared to face the truth and be judged by it we may make other people face the truth. If not, not! Verses 37b and 38 could be taken to mean simply the better you are the better your life will be. Life is never as easy as that (Ps 73: 1-5, 13, 14). Question 6: How, then, do we understand what Jesus meant? Some people teach a false gospel which promises obvious material blessing to the believer. This is clearly not the way the Kingdom in the world works as Ps 73: 2, 13, 14 points out. The book of Job and Luke 13: 1 –5 say much the same. What we are promised is reward for faithfulness in the day of the Lord when the world comes to an end. We are to look to our own reward and not make judgments on what should happen to other people. The parables of the blind, the student and the plank all, in different ways, emphasize that we need to be walking in the Way of Jesus if we want to be good and do things that matter in the kingdom of the Spirit. We need to be able to see, to be properly trained and not be blinded by things that should not be there. Then the parable of the good tree emphasizes that we need to be the right sort of tree. Being a better thorn bush will not lead to fruit, just bigger thorns! Question 7: How can we tell whether someone, or ourselves, is the right sort of tree? When we set out to follow Jesus we are told that we shall be saved at the final day. 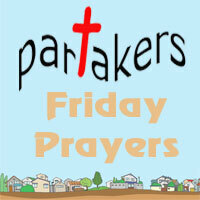 But we are also told that account will be taken of the whole of our lives as followers (Rom 14: 10, 12; 2 Cor 5: 10). It is hard to see how these two teachings fit together. It is best to take them both as the Lord’s word to us and strive to live in the light of both of them. Luke’s version of this story is slightly different from Matthew’s perhaps more familiar one. It is often called ‘the parable of the Wise and Foolish Builders’. 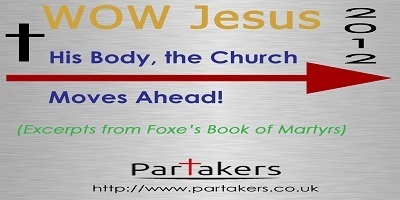 That is a good title for the parable in Matthew, not so good for this one of Luke’s! Question 8: What title would more accurately summarize this parable? Pause. The word ‘foundation’ is the most important one in this parable. It ties this parable to many other Biblical verses. Perhaps the most significant is Isaiah 28: 16 which refers to the temple but is used by Peter (1 Pet 2: 6) of Jesus. In Peter’s little picture Jesus is the all important foundation. Peter, like Jesus, emphasises that we are to do the building. O Father! May it be that your love would take over our lives! That we would follow you faithfully! Giving you alone praise In all circumstances! Amen!